When Qualcomm announced its Snapdragon 845 back in December, we were not anticipating that OEMs would immediately announce portable machines touting Snapdragon chipsets and running Windows 10 at the same time. At the time, HP and ASUS announced its 2-in-1 portables that could deliver up to 22 hours of battery life. Well, the HP Envy x2 is now available for pre-order, but it will still carry a hefty price tag if you want to experience that 22-hour battery life. One thing you must keep in mind is that you will not be able to experience a whole lot of performance as Snapdragon chipsets might be able to hold their own in a given of situations but in the end, Intel and AMD processors will outclass it in pure performance numbers. 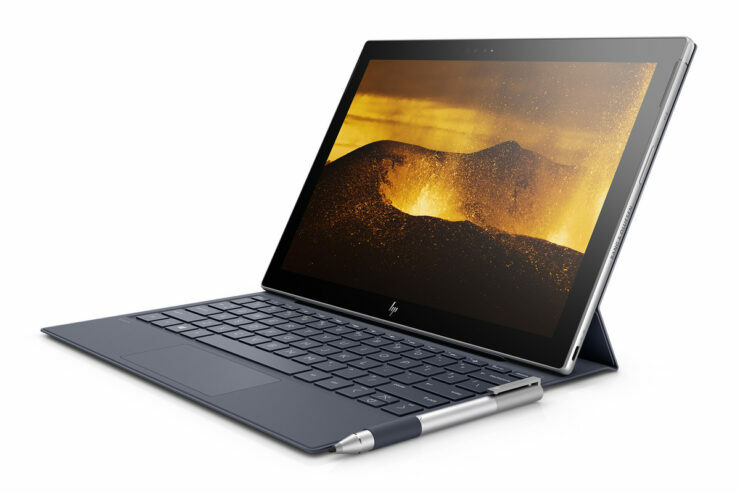 The HP Envy x2 features a $999 price tag and will be running Windows 10 S. The detachable PC looks very similar to the Microsoft Surface Pro but it is extremely thin and light. Measuring just 6.9mm in thickness, the HP Envy x2 weighs just 1.54 pounds. Using the nano-SIM card tray, you can enjoy 4G LTE speeds on this device and the 12.3-inch display should be sufficient for doing a variable number of things on the 2-in-1. This can range from an abundant amount of media consumption, to word processing and browsing. Apple Supplier Pegatron Will Manufacture ARM Powered ‘Star’ Notebook; Cupertino Taking First Steps In Its Intel-to-ARM Transition?